Scleral lenses are large-diameter gas permeable contact lenses. They are designed to rest on the white part of the eye (the conjunctiva or sclera) rather than the clear front tissue of the eye (the cornea). Since the sclera is much less sensitive than the cornea, this allows scleral lenses to be much more comfortable than traditional gas permeable (“hard”) contact lenses. The fact that scleral lenses “vault” over the cornea also allows them to correct vision problems that other contact lenses can not correct. If the cornea is not perfectly spherical, it will cause vision to be out of focus. The scleral lens effectively serves as a perfectly spherical artificial cornea, thereby focusing vision in nearly all cases. There are different subtypes of scleral lenses. True scleral lenses completely vault the cornea and rest on the sclera. Corneo-scleral lenses partially rest on the cornea. Both types are useful in certain situations. Why are scleral lenses used? This is most common indication for scleral lenses. In a variety of ocular conditions, vision can not be adequately corrected with eyeglasses, traditional contact lenses, or surgery. This is most commonly due to “corneal irregularity.” Since the cornea is analogous to the lens of the camera, the absence of a perfectly spherical cornea makes clear vision impossible. Eyeglasses and traditional contact lenses often can not fix this problem. A scleral lens may be the definitive treatment. Examples of disorders that cause corneal irregularity include keratoconus, pellucid marginal degeneration, and corneal damage due to scarring or injury. In addition, previous eye surgery such as LASIK, PRK, radial keratotomy, or keratoplasty (“corneal transplant”) can result in corneal irregularity. 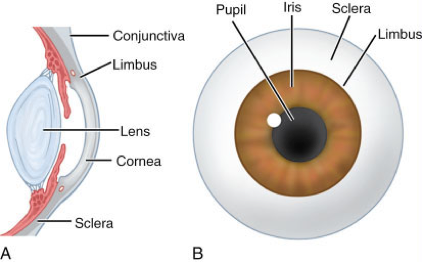 Since scleral lenses vault the cornea, there is a small space between the contact lens and the cornea. This space is filled with fluid, creating a fluid reservoir that bathes the eye. This allow scleral lenses to treat various types of Dry Eye Syndrome. If your eyes are dry even after trying artificial tears, prescription therapy, and/or punctal plugs, you may be a candidate for scleral lenses. More severe forms of Dry Eye Syndrome caused by conditions such as Sjogren’s syndrome, Stevens-Johnson syndrome, and graft-versus-host disease are also effectively treated with scleral lenses. Scleral lenses are quite comfortable, due to the fact that they do not touch the cornea. If you have been unable to wear soft contact lenses or gas permeable lenses, you may find better success with scleral lenses. Since scleral contact lenses are custom made for your eye, they are complex to design and produce. Because of this, they are typically more expensive than traditional contact lenses. At Louisville Eye Center, we will work with your vision and/or medical insurance carrier to attempt to obtain a benefit for scleral contact lenses. This can help significantly with the cost of lenses. Scleral lenses are a relatively new technology, and they present a number of challenges for the examining optometrist or ophthalmologist. Because of this, there are relatively few eye doctors nationally who use this technology. In fact, Dr. McNulty is one of only a handful of eye doctors in the region with training in this area. If you think you may be a candidate for scleral lenses, contact our office and we can help you find out.